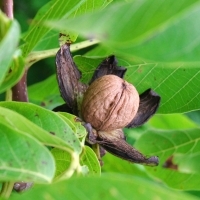 The Walnut nut tree is better suited to cold climates than many of the other cold climate nuts. Slow growing with best results achieved on deep soils with good drainage. Cross-pollination gives heavier nut set. Traditional French variety, good productivity and excellent nut quality. Partly self- fertile, bearing fruit at 3-5 years. Late fruiting season, nut size mid to large and well sealed. Resistance to blight and codling moth. Newly developed Californian walnut, upright and moderately vigorous. Comes into production early, heavy producer of large well seals nuts. The crack-out is around 53% It blooms late, an advantage in frosty areas, but is still matures its nuts mid season and is self fertile. This is a seedling Jumbo Chandler which takes longer to produce nuts but a very big yielder of large size nuts from year 8 onwards. 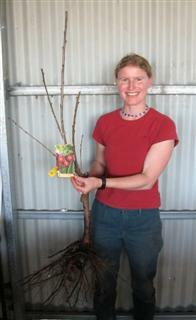 Recommended for the home orchardist looking for summer shade and winter light. Very frost resistant and ideal for areas with cold nights and hot days. Large smooth nuts have a 50% crack out and kernel quality is excellent at 90 per cent light. 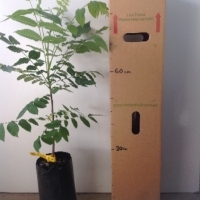 Ideal for backyards as tree is small to medium size. Popular Californian variety. A low chill seedling selection of Chinese walnut. 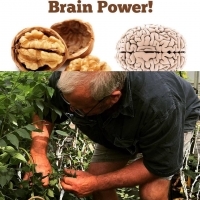 The Iron Walnuts grows successfully in Alstonville's sub tropical climate.